Anyway, access to the contents of the page is still available to other researchers, professionals in the field and to those interested in the research that I develop. Nowadays, the medicine based on evidence is hierarchically stratified from top to bottom, where in the base of the pyramid we find the clinic cases, which are rarely seen as evidence. 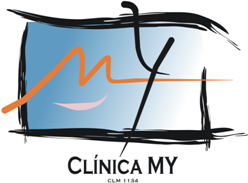 The TMJ Study and Investigation Page had in its conception, the purpose of posting the clinic cases, which were carefully published with the documentation related to each of the patients treated at Clinica MY with pain complaints, dysfunction and TMJ pathology. The proposition was of presenting these clinic cases and concepts in order share them, offering free access to the content along images, surface electromyographies, computerized kinesiography, scanned before and after the therapeutic process. Cases of tridimentional orthodontics and neuromuscular phisiologic reabilitation of the second phase of treatment, after the TMJ treatment, were also included. The TMJ Study and Investigation Page completed in the month of December, three years of life. I remembered to celebrate on the first anniversary of the Page. In the middle of the work with patients, teaching and publications I did not remember to celebrate the second year. I want to celebrate these three years with you. With this project, we have a place in the Internet that presents a line of work known as neuromuscular physiologic dentistry, which takes into account the whole body system. It is an area which acts on posture, mandibular functioning and considers the entire body system. In order to do that, the neuromuscular physiologic dentistry aims to establish, in the patient, a position that is based on a harmonious relation between the muscles, the teeth, and the temporomandibular joints. In the publication of this year’s end I have chosen the most significant images of all these years of publications, with direct links to each of the original publications. At the end of this publication I placed the links of the publications of the first year of this page. The TMJ Study and Investigation Page has grown tremendously and continues to receive visitors from all over the world. Postural Improvement in a Patient after Neuromuscular Physiological Mandible Repositioning Treatment. Patient with Scoliosis Surgery and Craniomandibular Symptomatology. Several articles and studies cite the prevalence of TMJ dysfunction in violinists and violists, especially by prolonged flexion of the head and shoulder, posture necessary to keep the violin in position. Studies also report that the incidence of TMJ dysfunction in musicians is similar to the general population. Professional musicians require many hours of training and improvement that involve complicated movements, fast and repetitive actions with over use of the hands, fingers, arms and head. Most articles report anxiety about professional performance and increased muscle tension, but few do a particular study of the state of the anatomical structures of the cases studied. A 45-year-old female patient referred by her physiotherapist consults with complaints of headache, pain in the cervical and scapular region, muscular contractures in the mandible. The patient also reports mandibular displacement when playing the violin and pain in both temporomandibular joints. The patient also reports clicks in both temporomandibular joints and occasionally the sensation of clogged ears. Frequent pain in the spine and both shoulders. At that time the patient had already consulted physiotherapists, rheumatologists, psychiatrists and psychologists. Marking chart of pain points. Image of the patient’s habitual occlusion on the day of the appointment. Wear on the incisal and occlusal faces of the teeth present. In the maximum opening position, observe the anterior angulation of the articular processes. Structural modification of the mandibular condylar process as one of the sequels of traumatism in infancy. The patient reports a trauma in early childhood, a knock on the head while playing on a slide. Lateral and cervical radiograph of the patient in habitual occlusion before treatment. In the report there is rectification of cervical lordosis. Degenerative discopathy in C5-C6, observing reduction of the height of the disc space and osteophytic proliferations reactional. At this level the disc-osteophyte bar is identified that touches and distorts the ventral face of the dural sac. There is no stenosis of the central vertebral canal. Neural foramina with amplitude within the limits of normality. Mild signs of uncovertebral arthrosis C5 and C6. Dynamic electromyographic record in patient’s habitual occlusion before treatment. Note the minimal activation of the right and left masseter muscles in maximal intercuspation and the high activation of the right and left temporal muscles. The masseter muscles are the most powerful muscles of the stomatognathic system, the temporal muscles even being elevating muscles have to have an equal and preferably smaller activation than the masseter muscles. Initial cineciographic record of the patient. Three-dimensional view of the mandibular displacement. Note a significant loss of velocity in the middle of the mandibular closure. MRI: sagittal slice of the left TMJ, closed mouth, anteversion of the mandibular condyle can be observed. MRI: Another sagittal slice of the left TMJ in the closed mouth, the anteversion of the mandibular condyle can be observed. Important area of retrodiscal compression at the level of mandibular condyle deflection. Primary objective has to be the three-dimensional decompression of the mandibular condyle. MRI: internal sagittal slice of the left TMJ, closed mouth. MRI: internal sagittal slice of the right TMJ, closed mouth. MRI: another sagittal slice of the right TMJ, closed mouth, the anteversion of the mandibular condyle can be observed. Note the posterior compression in this section. MRI: frontal slice of right and left temporomandibular joints, closed mouth in habitual occlusion before treatment. The frontal slice of the right temporomandibular joint shows a loss of joint space, especially in the region of the external lateral pole of the joint. Both frontal images show a decrease in joint space. To correctly evaluate the maxillomandibular relationship we should begin to consider the physiological rest mandible position. The patient has a pathological free space of 5.8 mm, already discounting the two physiological mm of a healthy free space. Electromyographic record with DIO (intraoral device) in physiological neuromuscular position. Note the higher recruitment of motor units in the masseter muscles that previously showed very little activity. Cineciographic record for the DIO (intraoral device) control in physiological neuromuscular position as the device is changed or recalibrated. Each case IS UNIQUE. There are cases where the TMJ structures are so damaged that the objectives outlined will have limitations dictated by the initial diagnosis. These limitations refer not only to the structures of the temporomandibular joint, but also to the patient’s systemic condition. Another cineciographical record to control the Dio in a physiological neuromuscular position as the device is changed or recalibrated. Comparison of left and right temporomandibular joint laminography, closed and open mouth: in habitual occlusion before treatment and with the DIO (intraoral device), in a physiological neuromuscular position. Comparison of lateral radiographs of the patient: in habitual occlusion before the treatment and with the DIO (intraoral device), in a physiological neuromuscular position. Improvement of the profile and recovery of the vertical dimension. Panoramic radiograph of the patient with the DIO constructed in a physiological neuromuscular position. MRI: comparative sagittal slices of the left TMJ, closed mouth, before and after the physiological neuromuscular treatment. MRI: comparative sagittal slices of the right TMJ, closed mouth, before and after the physiological neuromuscular treatment. In this section we can see the improvement in the discal condylar relationship obtained. MRI: Comparison of the frontal slice of the LEFT TMJ, closed mouth, before the physiological neuromuscular treatment, and of the same LEFT TMJ after the FIRST PHASE. Note the decompression of the temporomandibular joint, especially in the lateral pole. MRI: Comparison of the frontal slice of the RIGHT TMJ, closed mouth, before the physiological neuromuscular treatment, and of the same RIGHT TMJ after the FIRST PHASE. For this we used a three-dimensional orthodontic, where the teeth are erupted to the new neurophysiological position. In the second phase, in this case the three-dimensional orthodontics the patient is monitored and deprogrammed electronically, and often the device is recalibrated, to maintain the position obtained in the first phase. Patient’s panoramic radiograph after the installation of the implant and the removal of the retained upper third molars. Part of the sequence of the second phase (in this specific clinical case). Photograph of orthodontic wire before cutting from the right side for didactic purposes. Patient’s comparative panoramic radiographs before and after the end of the second phase of the treatment using a three-dimensional orthodontics. Patient’s comparative superior and inferior occlusal view, before and after, the end of the second phase of the treatment by a three-dimensional orthodontic. Kinesiographic control record after the completion of the three-dimensional orthodontics in a physiological neuromuscular position. Laminography of the patient in physiological neuromuscular occlusion after the finalization of the second phase of the treatment. Comparative laminography of the patient: before the treatment, during the first phase of the treatment and after the finalization by the three-dimensional orthodontics. Patient’s comparative frontal radiographs: before the treatment, during the first phase of the treatment and after the finalization by the three-dimensional orthodontics. Patient’s comparative lateral radiograph and profile: before the treatment, during the first phase of the treatment and after the finalization by the three-dimensional orthodontics. at work as well as leisure hours. The pain did not subside with common analgesics, requiring strong medication, which, in turn, only softened the pain a little. Today, after the treatment, I can say that only very rarely do I suffer from these pains, greatly improving the quality of life, besides the posture. A 54- year old female patient arrives to the clinic for consultation, referred by her rheumatologist with complaints of daily headache since her 23 years of age. The patient associates the beginning of the headache with the installation of a definitive crown on the right upper central incisor. When she was 12 years old the suffered a traumatism that provoked the fracture of the tooth. The patient also reports bruxism. The patient reports that in consultation with a neurologist, a nuclear magnetic resonance of the skull was requested, in which a change in white matter was detected. At the same time the patient consults with a cardiologist. A FOP (Patent Oval Form) is detected, with no need for a surgical approach. After years and years of consultations and treatments for daily headaches, the patient also has a diagnosis of fibromyalgia. The patient makes use of marevan, 5mg daily as indicated by the Cardiologist. Sandomigran 1 time per day per Neurologist indication. Nexium 40 mg once daily indication of Gastroenterologist. Marevan works in the prevention of venous thromboembolism, systemic embolism in patients with prosthetic heart valves or atrial fibrillation, stroke, acute myocardial infarction and recurrence of myocardial infarction. Oral anticoagulants are also indicated in the prevention of systemic embolism in patients with cardiac valve disease. Sandomigran, pizotifen is an antaminic characterized by its polyvalent inhibitory effect on biogenic amines, such as serotonin, histamine and tryptamine. It is suitable for the prophylactic treatment of migraine, reducing the frequency of seizures. Pizotifen also has appetite-stimulating properties and is mildly antidepressant. Nexium: Expected action of medication, disappearance of symptoms of heartburn, epigastric pain and acid regurgitation. Healing of peptic ulcers. Habitual occlusion of the patient on the day of the consultation. Note the persistence of a lower deciduous tooth on the left side. Upper and lower occlusal views of the patient on the day of the consultation. Note the persistence of a lower deciduous tooth on the left side. Presence of bilateral torus mandibularis. The lower incisors show signs of wear. Absence of dental elements 18, 28, 38 and 48. Maintenance of element 75 in the dental arch. The element 11 is endodontically treated. Presence of fixed prosthesis with intracanal pin in element 11. The laminography of the temporomandibular joints shows a modification of the growth axis of both mandibular condyles caused by a trauma in the early childhood, (greenstick fracture). Lateral and cervical radiograph of the patient in habitual occlusion prior to treatment. Note the loss of space between the cervical vertebrae, especially between C5 and C6, where osteophytes are also observed. MRI: Sagittal slice of the left TMJ in the closed mouth, we can observe the anteversion of the mandibular condyle. Facet on the superior surface and posterior flattening of the mandibular condyle. The articular disc is displaced anteriorly, with reduction in open-mouth maneuvers. (Open mouth images not included in the post). Notice the posterior compression in this slice. In the magnetic resonance image of the temporomandibular joints it is fundamental to read the structure of the disc besides the position of the disc. An articular disk as in this specific case, thin, without a real structure capable of maintaining a good function, the primary objective has to be the tridimensional decompression of the mandibular condyle. This particular articular disc has no structure to fulfill the function for which it is intended. MRI: another sagittal slice of the left TMJ in the closed mouth, we can observe the anteversion of the mandibular condyle. The articular disc is displaced anteriorly, with reduction in open-mouth maneuvers. (Open mouth images not included in the post). MRI: Sagittal slice of the right TMJ in the closed mouth, we can observe the anteversion of the mandibular condyle. Facet on the superior surface and posterior flattening of the mandibular condyle. The articular disc is displaced anteriorly, with reduction in open-mouth maneuvers. (Open mouth images not included in the post). MRI: another sagittal slice of the right TMJ in the closed mouth, we can observe the anteversion of the mandibular condyle. Posterior flattening of the mandibular condyle. The articular disc is displaced anteriorly, with reduction in open-mouth maneuvers. (Open mouth images not included in the post). MRI: another sagittal slice of the left TMJ in the closed mouth. The patient’s masticatory muscles were electronically deprogrammed and the mandible rest position was recorded with a computerized kinesiograph. An intraoral device (DIO) was made to for three- dimensional mandible repositioning. The patient presented a pathological free interocclusal space of 4,4 mm, a mandibular retroposition of 1, 6 mm, also a right deviation of 1 mm. Control of the intraoral device registration (DIO). These controls are frequently performed during the first phase of the treatment, also monitored by surface electromyography. On average this first phase lasts one year. Modifying and improving PHYSIOLOGICAL NEUROMUSCULAR POSITION. MRI: comparative sagittal sections of the left TMJ closed before and after the Neuromuscular Physiological treatment. Notice the three-dimensional joint decompression. Primordial objective in this specific case. MRI: another comparative sagittal sections of the left TMJ closed before and after the Neuromuscular Physiological treatment. MRI: comparative sagittal sections of the right TMJ closed before and after the Neuromuscular Physiological treatment. MRI: another comparative sagittal sections of the right TMJ closed before and after the Neuromuscular Physiological treatment. After the completion of the first phase of the treatment of TMJ pathologies and the patient WITHOUT HEADACHE, we began the second phase of TMJ pathology treatment. In this specific case: three-dimensional orthodontics together with the rehabilitation of the necessary dental pieces and aesthetic improvement of the patient’s anterior teeth. At this point I had to make a decision regarding the permanence of the deciduous tooth, firm and without mobility. I did not think I should extract it for the placement of the implant, but to maintain it. I clarified to the patient that during orthodontics we could lose it. I understood that this would have a compromise in the patient’s occlusion, but this fact did not concerned me, with the TMJ being decompressed and the patient functioning well, both electromyographically and in the computerized kinesiograph tests. The second phase with three-dimensional orthodontics is started in the second phase of the treatment of TMJ pathologies in this specific patient. Direct composite resin reconstruction of the 75 and 37 elements maintaining patient’s Neuromuscular Physiological position. Sequence of three-dimensional orthodontics in the second phase of TMJ pathologies treatment in this specific patient. Direct composite resin reconstruction of the 75 and 37 elements maintaining patient’s Neuromuscular Physiological position. Sequence of three-dimensional orthodontics in the second phase of TMJ pathologies treatment in this specific patient. Preparation for the reconstruction of elements 33, 32, 31, 41, 42 and 43 maintaining the patient’s Neuromuscular Physiological position. Direct composite resin reconstruction of 33,32,31,41,42 and 43 elements maintaining the patient’s Neuromuscular Physiological position, with three-dimensional orthodontics. After the resolution of the strong headache (reason why the patient consulted the clinic) and the finalization of the tridimensional orthodontics, it was decided to make laminated facets from canine to canine for aesthetic reasons. Patient’s panoramic radiograph after the end of the treatment in the Neuromuscular Physiological Dentistry. Patient’s temporomandibular joints laminography in physiological neuromuscular occlusion after treatment completion. Patient’s frontal radiograph in physiological neuromuscular occlusion after treatment completion. Patient’s comparative lateral radiographs before and after treatment. The first in habitual occlusion and the second in physiological neuromuscular occlusion. At age 11, I had a fall and broke the upper incisor tooth. At the time, I sought a dentist and he said that I should wait for the adult stage to make the porcelain definitive crown. In 1986, when I was 23, I went to another dentist to make the crown. After the root canal treatment, the crown was placed. In that moment I felt that there was an elevation that touched the lower tooth. The next day I woke up with an endless headache. Day by day the pain intensified. I returned to the dentist and reported the fact, he said that in time it would settle. For 25 years I investigated the reason for my headache with several doctors. In 2006 a rheumatologist asked me for an MRI of the skull, changes were identified in the gray matter. During this period, I was admitted to HMV for an investigation, and the diagnosis was SAF, topiramate 50 mg was introduced as a preventive of migraine and anticoagulant.These drugs were used from 2006 to 2011. In 2007, I underwent systemic chemotherapy with METOTREXATE for 1 year. In 2011 another pain site showed up, this time in the hip, so I underwent corticoid in the vein for 6 months. I decided to abandon the treatment, because it was no use. I looked for a respected neurologist who switched all my medication for an anti-allergy for headache prevention and an antiplatelet. The diagnosis was leukoencephalopathy in a small degree. I also gave up treatment, because it did not work, either. This neurologist referred me to another rheumatologist who examined me and identified a problem in my TMJ and a bursitis in the hip. The same rheumatologist sent me to Dr. Lidia Yavich and to an orthopedist. In a short time I did not feel the same headache when I woke up. After all this, I continue to do MRI, and the changes have stabilized. I sought an opinion from a second neurologist, and he thinks that all the changes I have are due to the intensity of the headache that I felt daily. He did not agree with any diagnosis made so far. I also believe that, because after the treatment with Dr. Lidia, I regained my quality of life. The medication I use today: antiplatelet due to the existing changes and because I have a patent foramen ovale. I thanks also to Dr. Luis Daniel for the conjunct treatment restoring function and aesthetics. A 57-year-old male patient presented at the clinic, referred by a colleague with complaints of: back of the head pain mainly on the right side, ringing in both ears and perception of strange sounds. The patient complains of daytime and nighttime clenching. Refers to dental losses very early, and installation of prostheses that are subsequently fractured, as well as dental fillings fracture. Habitual occlusion of the patient on the day of the appointment, the patient had made a removable prosthesis, but felt neither stability nor comfort with it. Radiographic examination shows absence of dental elements 17, 15, 14, 24, 27, 28, 38, 37 and 36. Alveolar bone loss in the maxilla and mandible. Impairment of the bone support of element 18. Impairment of the furcation region of element 46. Endodontically treated 13 and 12 elements. The laminography of the temporomandibular joints shows superior and posterior positioning of the right articular process in the articular cavity and inferior and anterior positioning of the left articular process in the articular cavity when the mandible is in the position of maximum intercuspation. In the maximum opening position, observe anterior angulation of the articular processes. Significant flattening of the posterior and superior surfaces of the right joint process. Lateral radiography in conjunction with the patient profile image before treatment. Frontal radiography in conjunction with the patient profile image before treatment. Lateral and cervical spine radiographs together with the lateral image of the patient before treatment. Patient’s comparative electromyographic records at rest, before and after the electronic deprogramming with the TENS. Note the relaxation of the muscles especially of the right masseter which after relaxation showed symmetrical values with the left masseter. Patient’s dynamic electromyographic record in habitual occlusion before treatment. Note the activation of trapezius and digastric muscles at the moment of maximum occlusion. One slice of the patient’s MRI (magnetic resonance imaging): we can observe anterior angulation of the articular processes, flattening of the superior and posterior surface of the articular process of the right side and the posterior surface of the left side. Information we had on laminography. The articular discs are displaced anteriorly and are also very thin which imply a disc that structurally may not always fulfill the function for which a disc is drawn. However it is imperative in this case even if a recapture of the discs is not achieved, to promote joint decompression. The patient’s masticatory muscles were electronically deprogrammed and the mandible rest position was recorded with a jaw tracker. A device for the three-dimensional repositioning of the mandible was constructed. The patient presented a very large pathological interocclusal free space 13 mm, and a mandible retro position of two mm. A healthy free interocclusal space of two mm was left in the DIO construction. The records change as the system improves, and the devices are changed and recalibrated. The three-dimensional mandibular rest position was recorded as an occlusal bite record, which was later used to make a DIO (intraoral device). Patient’s comparative laminographies: the superior in habitual occlusion before the treatment and the lower in the neurophysiological position wearing the DIO (intraoral device). Wearing the orthotic, the first phase of implant placement begins. Panoramic radiograph of the patient in neurophysiological occlusion with the DIO (intraoral device), after the installation of the first implants. For the superior implants it was necessary to perform bone graft, 120 days after the bone graft the superior implants were placed. Panoramic radiograph of the patient in neurophysiological occlusion with the DIO (intraoral device), after the installation of the remaining implants. Intraoral device constructed in neurophysiological position with the implants installed. Controlling the record of the intraoral device, the records change as the system improves, and the devices are changed and recalibrated. The second phase with the three-dimensional orthodontics is started. Sequence of the three-dimensional orthodontics in the second phase of the treatment of TMJ pathologies in this specific patient. Sequence of the three-dimensional orthodontics in the second phase of the treatment of TMJ pathologies in this specific patient. Alignment and recovery of the lower sector with resins. The patient is tested with bioinstrumentation maintaining an aesthetic and functional result within the specific case. Control of the neuromuscular trajectory in the rehabilitated patient. Dynamic electromyographic record after completion of the patient’s second phase treatment. Orthodontics and rehabilitation. Completion of the TMJ pathology treatment, orthodontic and rehabilitative (in this specific clinical case).Neurophysiological rehabilitation was performed by Dr. João Sousa. Subsequent rehabilitation was done keeping the vertical dimension with the device, but having to yield a little at the ideal height due to the patient’s bone conditions, rehabilitation possibilities and orthodontic limitations. The rehabilitation was done with metal ceramic crowns, and in the upper implants zirconia crowns in elements 14 and 15. Patient’s upper and lower occlusal view after completion of the neurophysiological treatment. Patient’s panoramic radiograph after completion of the neurophysiological treatment. Patient’s laminography in neurophysiological occlusion after completion of the neurophysiological treatment. Patient’s lateral radiograph after completion of the neurophysiological treatment. Patient’s frontal radiograph after completion of the neurophysiological treatment. Comparative patient occlusions before and after neurophysiological treatment. Comparative panoramic radiographs of the patient: before during and after the neurophysiological treatment. Patient’s postural comparative frontal images: before, during and after the neurophysiological treatment. Patient’s postural comparative profile images: before, during and after the neurophysiological treatment. Patient’s lateral comparative lateral radiographs: before and after the neurophysiological treatment. 1) Bilateral Tinnitus- This symptom bothered me greatly, especially in the silence of the night it was almost torture, today I do not feel anything else, so much that I have forgotten if I ever had tinnitus. 2) Strange sounds in both ears: I had difficulties to identify, I confused on which side came the sounds and voices. 3) Clenching and constant breaking of prostheses and restorations – I remember that this was the main reason why Dr. João told me to seek treatment.Today I use a orthotic to sleep and I never had any problems. 4) I had a great gift, which I did not expect and I was not looking for it either. Facial rejuvenation, to the point that some people do not recognize me as they pass me by. Others noticed the change and asked what I had done and more recently a friend asked me, what is the secret of growing young. I’m very happy, I’m much younger. Thank you Dr. Lídia, thank you Dr. João. Symptoms of mild hearing loss occurring in childhood often go unnoticed. It is vital the early detection of this deficiency. Various physical and psychological activities of children and adolescents may be affected due to hearing impairment. The conductive hearing loss resulting from Eustachian tube dysfunction INITIATED BY TEMPOROMANDIBULAR DISORDERS is OFTEN NOT CONSIDERED. It is vital the early detection of this deficiency. There are two general types of hearing loss, conductive and sensorineural. Conductive hearing loss results from disruption in the passage of sound from the external ear to the oval window. Anatomically, this pathway includes the ear canal, tympanic membrane, and ossicles. Such loss may be due to cerumen impaction, tympanic membrane perforation, otitis media, osteosclerosis , intraaural muscle dysfunction, or displacement of the ossicles by the malleolar ligament. Sensorineural hearing loss results from otology abnormalities beyond the oval window. Such abnormalities may affect the sensory cells of the cochlea or the neural fibers of the 8th cranial nerve. Hearing loss with age (presbycusis) is an example. Eight cranial nerve tumors may also lead to such hearing loss. Male patient, eleven years old, arrived to the clinic for consultation referring headache, pain on the back of the head, shoulder pain, neck pain, hand numbness and tingling in hands and LIMITATION OF MOUTH OPENING. The patient reports pain in the left ear and sensation of ear blockage especially on the left side. He also has tinnitus in both ears and DECREASE OF HEARING IN BOTH EARS. Any hearing loss reported by the patient, must be evidenced by an audiometry. Patient’s medical history: is relevant to this case the antecedent trauma on the chin at early childhood. It is also important to consider his recurrent infections of ear and throat and that when he was eight months old he had a severe pneumonia that required hospitalization. Images of the patient’s habitual occlusion. Upper and lower oclusal view. Patient’s photos: frontal, profile and smiling on the day of consultation. Patient temporomandibular joint laminography before treatment: we can observe the superior and posterior position of the left condylar process in the articular cavity when the jaw is in the position of maximum intercuspidation. In the maximum opening position, we can observe the anterior angulation of the left articular processes. Patient’s habitual image occlusion before treatment, in the consultation day.We may observe here an important overbite. It is evident the lack of space for the correct positioning of the left maxillary canine. Superior and lower oclusal view of the patient before treatment. It is evident the lack of space for the correct positioning of the left maxillary canine. Patient’s lateral radiograph together with the profile image before treatment. Retrognathic profile and rectification of the cervical spine. MRI T1: Sagittal slice, left and right TMJ closed mouth before treatment. We can observe anterior facets on the right and left mandibular heads. In the right TMJ the disk is slightly anteriorly dislocated. The anterior dislocation is more evident on the left TMJ, with the head of the mandible backed on the retrodiscal zone. MRI T1: Sagittal slice, left and right TMJ open mouth before treatment. We can observe anterior facets on both mandibular heads. Both mandibular condyles cannot translate, reducing mouth opening. Initial kinesiographic record: loss of speed when the patient opens and closes his mouth. There is no coincidence between the opening and closing trajectories in the sagittal view of the record. Limited mouth opening as the patient can open only 32.9 mm. During the examination there was an activation of the right and left upper trapezius even when the patient was instructed to lower his shoulders.He had activated both trapezius throughout the examination. The patient reports pain in the left ear and sensation of ear blockage, especially on the left side. He also has tinnitus and DECREASE OF HEARING IN BOTH EARS. ANY HEARING LOSS REPORTED BY THE PATIENT MUST BE EVIDENCED BY AN AUDIOMETRY. An audiogram is produced by using a relative measure of the patient hearing as compared with an established “normal “value. It is a graphic representation of auditory threshold responses that are obtained from testing a patient’s hearing with pure-tone stimuli. 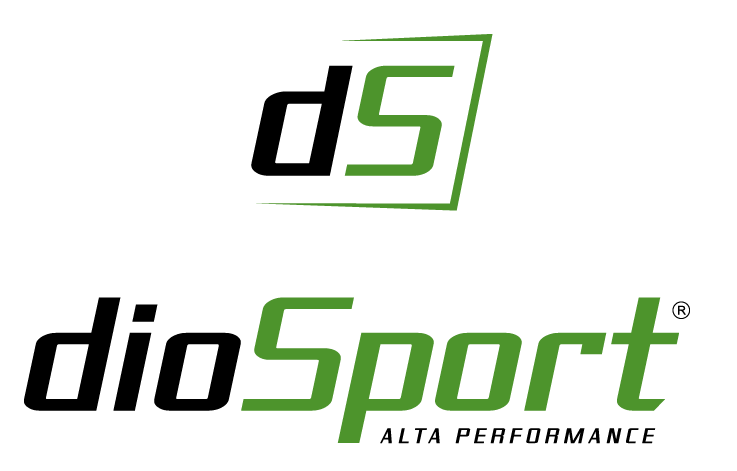 The parameters of the audiogram are frequency, as measured in cycles per second (HZ) and intensity, as measured in dB­­­­. The first audiometry of the patient revealed a mild hearing loss in the left ear and a moderate hearing loss in his right ear. Hearing loss is classified as mild, in which the ear is unable to detect sounds below 40 decibels which makes it difficult to understand human speech. In moderate loss, the sounds below 70 decibels are not heard. We recorded the mandibular rest position after electronic deprogramming, together with the information of the MRI (magnetic resonance imaging) to orient our decisions of the bite registration, for the three-dimensional construction of the DIO (intraoral device). The patient has a pathological free space of 8.6 mm and 8 mm of mandibular retro position. The degree of compression determinates de reaction of the patient. The retrusion of the mandible, whether it is iatrogenically induced, or a result of malocclusion, often results in otalgia due to excessive compression of the neurovascular retrodiscal tissues. The patient’s impression is ear pain. I informed the parents of the patient, that at this stage, I was only worried about the health of the patient, and focused on improving the functions, the symptoms and controlling the conductive hearing loss. Hearing loss resulting from Eustachian tube dysfunction, initiated by craniomandibular disorders is usually subjective. For this reason there is a need for an objective control by audiometry. I explained that I would not make any orthodontic intervention at this stage to include in the arcade the canine that was misaligned and out of space. I told them that I would take care of it later and in this case I would not have the need to extract teeth. The installed device is controlled through surface electromyography to evaluate the function. Patient’s second audiometry shows normal thresholds in the left ear and a mild hearing loss in his right ear. Comparing the first and second audiometry of the patient during treatment. Thresholds normalization of the right ear and thresholds improvement of the left ear. Structural lesions may produce functional changes which in turn increases the structural changes. Some structural lesions can be recovered, but OTHERS CANNOT. It takes time to stabilize the muscles during treatment, different patients, different ages and different pathologies. Patient’s third audiometry shows NORMAL thresholds in the left ear and NORMAL thresholds in his right ear. Comparing the first, second and third audiometry of the patient during treatment. Thresholds normalization in the right and left ear. At this time with the normalization of the conductive hearing loss, the remission of symptoms and improvement of the images from the exams, we began the second phase through a three-dimensional orthodontics. Sequence of the three-dimensional orthodontic in the second stage of treatment of TMJ disorders in this particular patient. REMEMBER THAT NOT EVERY CASE WILL ALLOW THE IMPLEMENTATION OF A SECOND STAGE. Patient’s lateral radiograph together with the profile image during treatment. Aesthetic and not retrognathic profile as at the beginning of treatment. There was not a recovery of the physiological lordosis, but there surely was an improvement of the cervical spine. Removal of the DIO (intra oral device) at the current stage of the three-dimensional orthodontics. Images without the DIO (intraoral device) and completion of the treatment of the three-dimensional orthodontic in neurophysiological occlusion. Comparative images of the upper and lower oclusal views from the patient before and after completion of the first and the second phase of the neurophysiologic treatment. The fourth audiometry of the patient after completion of the two phases of treatment maintains the normal thresholds in both the left ear and the right ear. Part of the sequence of the three-dimensional orthodontics in the second stage of the treatment of TMJ disorders in this particular patient. Comparative panoramic radiographs: before treatment and after completion of the three-dimensional orthodontics. Comparative of lateral radiographs of the patient: at the beginning of the treatment in habitual occlusion, after the completion of the three-dimensional orthodontic in neurophysiological occlusion and six years after the completion of treatment control. Patient’s kinesiographic records comparison: before and after treatment. The mouth opening of the patient improved from 32.9 mm to 38.9 mm and it also reached an excellent speed regarding mouth opening and closing. Patient’s electromyography records comparison: before, during and after treatment. Patient’s kinesiographic records after electronically mandibular deprogramming comparison: before treatment the habitual trajectory is not coincident with the neuromuscular trajectory. After treatment the habitual trajectory is tridimensional coincident with the neuromuscular trajectory. Comparing the first, second, third and forth audiometry of the patient. Thresholds normalization of right and left ear. Various physical and psychological activities of children and adolescents may be affected due to hearing impairment. The conductive hearing loss resulting from Eustachian tube dysfunction INITIATED BY TEMPOROMANDIBULAR DISORDERS is OFTEN NOT CONSIDERED. My dentist referred me to the orthodontist because I had a crooked canine. So, after a panoramic radiograph she suspected that I could have a TMJ problem. Then she referred me to Porto Alegre to do a MRI, and from that exam it was found something that indicated a TMJ problem. So then I started the tratment with Dr. Lidia Yavich, that also investigated the tinnitus and my hearing problem. When I was little I felt and hit the chin but my parents didn’t know that it could affect my TMJ. I suffered a lot from an earache and sore throat. I had even scheduled an ear surgery but after six months of treatment it was no longer necessary to do it. Today I am doing well. I have a good hearing and I don’t have any more the tinnitus and the throat pain. I am happy with this treatment, thanks to God and to Dra. 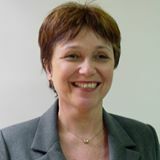 Lidia Yavich. Today, more than seven years after the end of the TMJ treatment with Dr. Lidia, and thanks to the God-given gifts to her, I haven’t been suffering any more with the earaches nor with the throat pain or the hearing loss. I had had, before the treatment, the indication to make an ear operation since I was loosing my hearing and that was not necessary with the TMJ treatment because during the treatment I was monitorated by exams that had proven that my hearing improved. Today I live a normal life, without having problems with those things from the past. I thanks the treatment done by Dr. Lidia which has healed me and improved my life. I often observe the debate on etiology and therapeutics, especially in TMJ dysfunction discussions groups, which are integrated by patients and professionals. These groups are active not only in Brazil but in several countries and communities from around the world. I hope this space will add, strengthen or clarify those discussions. The professional who treats patients with TMJ pathology has to take into account, at the moment of studying the clinical case, the patient’s particularities and the anatomical structures that are involved and provoking pain and affliction to our patient. Even if the professional is scrupulous, evolutions can be different from patient to patient. That is why the professional has to investigate carefully which are the structures that can improve or even heal and which are the ones that cannot improve or still which ones we do not know if can be improved in the process of treatment. Recognizing what we do not know is perhaps more important than recognizing what we do know: and the communication of this understanding to the patient is essential. When we start a treatment we must be certain of the structures we can meliorate, or even prevent of getting worse and we also must know which structures we DO NOT HAVE THE CONDITION TO MELIORATE and we certainly must communicate that to the patient. Within this framework, the most important thing is to investigate if we can improve the quality of life of the patient. Female patient with 45 years old arrives to the clinic for consultation suffering from headache every day, also suffering from neck pain and pain in the back of the neck, pain in both temporomandibular joints and severe pain on the shoulders. Pain is more intense on the left side. The patient reports a sensation of plugged ears and hearing decrease which was confirmed by an audiometry that refers normal hearing at 4KHZ and a severe sensorineural hearing loss at 6 KHZ and moderate at 8 KHz in the right ear. The left ear has normal hearing thresholds. The patient presents a buzzing in the left ear, and peculiar noises. Patient’s habitual occlusion in the consultation day. Note patient’s overbite. The patient reports that she wakes up with pain in the teeth, because of clenching. Patient’s upper and lower oclusal view before treatment. Note the wear of the lower anterior teeth. The patient states that have made maxillary anterior teeth reconstruction with resin due to attrition caused by bruxism. Patient’s panoramic radiograph before treatment. Absence of teeth 18,28,48. Reabsorption of the alveolar ridges. Radiographic image of the right and left temporomandibular joints in closed and open mouth. Flattening of the anterior superior and posterior superior surface of the left articular process. Patient’s lateral radiograph in habitual occlusion before treatment. Rectification of the cervical spine. Patient’s frontal radiograph in habitual occlusion before treatment. Patient’s lateral radiograph and cervical spine in habitual occlusion before treatment. Rectification of the cervical spine. Patient’s computerized kinesiographic record before treatment. Patient without mouth opening restriction. Decreased closing speed, typical graph of an incisal guide that interferes with the closing trajectory. Sagittal slices of the right closed TMJ. The mandible heads presents irregularities and cortical and subcortical sclerosis. Degenerative process. The right articular disc shows small size, change in signal intensity and degenerative morphostructural aspect. It is anteriorly displaced. Sagittal slices of the right open TMJ. The articular disc shows small size, is anteriorly displaced WITHOUT REDUCTION WHEN THE MOUTH OPENS. Another sagittal internal slice of the right closed TMJ showing cortical bone irregularities. Degenerative aspect. The articular disc shows small size, change in signal intensity and degenerative morphostructural aspect. It is anteriorly displaced, WITHOUT REDUCTION WHEN THE MOUTH OPENS. Another sagittal slice of the right open TMJ. The articular disc shows small size, is anteriorly displaced WITHOUT REDUCTION WHEN THE MOUTH OPENS. Sagittal slices of the left closed TMJ. Mild contours irregularity with rectification of the superior aspect of the mandibular condyle. The articular disc presents reduced dimensions.Alteration in orientation of the mandibular condilar axis because of traumatism in infancy. The disc is anteriorly displaced, WITH REDUCTION WHEN THE MOUTH OPENS. Sagittal slice of the left open TMJ. THE DISC REDUCES WHEN THE MOUTH OPENS. Frontal slice of the right and left temporomandibular joints, closed mouth. Note the cortical discontinuity on the right side already registered in the sagittal sections of the same side. The left side shows a medial disc deviation. The masticatory muscles of the patient were electronically deprogrammed and a DIO (intraoral device) was constructed in neurophysiological position. In other publications computerized kinesiographic methods were mentioned. With this data and ALWAYS WITH THE INFORMATION OF THE IMAGES OBTAINED WITH THE MRI, we built a DIO (intraoral device) to keep the three-dimensionally recorded position. One year after the beginning of neurophysiological treatment, the patient had to interrupt the treatment to undergo a spine surgery. The patient returned 10 months after the interval, recovered from the intervention. The patient was then again documented to assess any changes that might have happened during the interruption and the spine surgery. Patient’s postural comparative frontal images: before treatment and restarting therapeutic after the spine surgery. Patient’s postural profil comparative images: before treatment and restarting therapeutic after the spine surgery. The masticatory muscles of the patient were AGAIN electronically deprogrammed and NEW DIO (intraoral device) was built in neurophysiological position. Patient’s panoramic radiograph with the DIO (intraoral device) built in neurophysiological position. Patient’s right and left temporomandibular joints laminography in closed and open mouth with the DIO built in neurophysiological position. Patient’s lateral radiograph with the DIO built in neurophysiological position. Patient’s lateral and cervical spine radiograph with the DIO built in neurophysiological position. PATIENT’S ANALYSIS AT THIS STAGE OF THE TREATMENT. Patient with degenerative processes not only in the temporomandibular joints but also in the cervical spine and lumbar spine which led her to surgery. Inability to recapture of the right TMJ disk. Whereby this was an objective that was not taken into account. Remission of symptoms and improvement of life quality. Physiological mandibular posture, recovery of free space interocclusal through the DIO (Intraoral device). In this particular case even WITHOUT DISC RECAPTURE (CONDITION THAT WAS EXPLAINED IN THE DIAGNOSIS) the patient can pass into the second phase, always taking into account that we should protect the joint during the night and during physical activity. Each case is unique and the decision to move to a second phase also needs an individualized study. It was decided to begin the SECOND PHASE of treatment to remove the DIO (intraoral device), keeping the neurophysiological occlusion. For this we used a three-dimensional orthodontics, where the teeth are erupted in order to reach the new neurophysiological position. In the second phase, in this case the three-dimensional orthodontic the patient is monitored and electronically deprogrammed. The device is often recalibrated or replaced, to maintain the position obtained in the first phase. In this sequence the patient is still with the DIO (intraoral device) in the mouth. Completion of the second phase of the neurophysiological treatment in this case with a three-dimensional orthodontics. The second phase is here understood as the three- dimensional orthodontics, restorative, prosthetic procedures in accordance with each clinical case in order to remove the DIO, while maintaining the neurophysiological position obtained in the first phase. Patient’s upper and lower oclusal views after completion of the three-dimensional orthodontics. Patient’s right and left temporomandibular joints laminography in closed and open mouth in neurophysiological position after finalization of the treatment. Patient’s panoramic radiograph in neurophysiological occlusion in the completion of treatment. The tooth 38 that was in a horizontal and impacted position was extracted since the patient had no more symptoms of joint pain. Patient’s lateral radiograph in neurophysiological occlusion in the completion of the second phase of neurophysiological treatment. Temporomandibular joints MRI after de finalization of the second phase. We must remember that this is a patient with degenerative processes and impossibility of recapture of the right TMJ disc, the left disk is so damaged that it does not fulfill its function. The patient no longer has symptoms. The final MRI shows no worsening of the situation and in the frontal slice it shows a better three-dimensional location of the mandibular condyle and cortical improvement. Patient’s lateral comparative radiographs: at the beginning of treatment in habitual occlusion, during treatment after the spine surgery interruption with the DIO (intraoral device) in neurophysiological occlusion and after completion of the three-dimensional orthodontics in neurophysiological occlusion. Comparative records of mandibular rest position at the beginning of the treatment to build the DIO (intraoral device), and at the end of the second phase of the treatment (tridimensional orthodontics) to build a DIO (intraoral device) for night use. Notice that in the beginning of the treatment the patient had a pathological interocclusal space of 7.4mm, and in the record at the end of the second phase for the nocturne DIO the patient has 3.3mm of free interocclusal space. We have to take into account that the free interocclusal space IS A THREE-DIMENSIONAL SPACE, AND WHEN WE HAVE STRUCTURAL DIFFERENCES IN THE JOINTS, THE SPACE IS NOT EQUAL ON THE RIGHT AND THE LEFT SIDE. Patient’s comparative profil postural images: at the beginning of treatment in habitual occlusion, during treatment after the spine surgery and treatment interruption with the DIO (intraoral device) in neurophysiological occlusion and after completion of the three-dimensional orthodontics in neurophysiological occlusion. Patient’s frontal comparative postural images: at the beginning of treatment in habitual occlusion, during treatment after the spine surgery and treatment interruption with the DIO (intraoral device) in neurophysiological occlusion and after completion of the three-dimensional orthodontics in neurophysiological occlusion. I had made several appointments with specialists, such as otorhinolaryngologist, dentists and maxilo-facial surgeons. However, all of them were without success and that is when I looked for Dr. Lidia to whom I reported the following symptoms. I used to wake up every day with a lot of pain on the left side, both in the head and neck and I used to feel a rigidity on the neck and shoulder. In that time I used to take painkillers every single day in the morning. I also used to suffer of a serious problem of bruxism and because of that I wore out my front teeth, both the upper and lower teeth, and I had to restore them. I used to feel a lot of pain from the tremendous pressure that I used to make between the lower and upper part of my mouth. Another symptom was the high sensitivity on the teeth when I drank cold liquids. I felt as my ears were always blocked in such a way that my hearing decreased. I also used to hear a noise, especially on the left side, which sounded like a continuous whistle. I also told the doctor that when I was a child I was hit with a brick, in the middle of a child’s play. After reporting all that she asked me to make many exams and many of them were made in the MY Clinic and finally she told me that I had a problem in the TMJ. I started a treatment with her in 2011. I started to use an acrylic splint on my lower teeth day and night, all the time, taking it of only for its hygiene. The pain that I used to feel so much decreased and in short time I did not feel it any more. Doctor Lidia had to adjust the orthotic monthly, making exams in her clinic until it reached the optimal height. On the next year from when I started the treatment I had to interrupt it for 8 or 10 months because I had to make a column surgery but I returned to the treatment as soon as I was well enough. I kept on treatment for one more year and after that I started the second part of the treatment with braces. At the time that the treatment ended I did not need to use any more braces nor the full time orthotic. Today I need to use the orthotic only when I do physical activities and to sleep. I never again felt the horrible pain that I used to feel. I also never felt again the sensation of having blocked ears and happily the noise reduced. Today I am very happy that I do not have to take daily painkillers and that I do not have any pain. I am very grateful to doctor Lidia because she discovered and solved my problem. For the interested coleagues in this training: the course starts at the September 1st.